If the UCI would still be running the old World Cup system, then Alexander Kristoff would have been in the top 10 at the end of the 2013 season, which says a lot about his consistency in the one-day races. The Katusha rider was 8th in Milan-Sanremo, 4th in the Tour of Flanders, 9th in Paris-Roubaix, and 3rd in the Vattenfall Cyclassics, but he wasn’t impressive only in the Classics, but also in the bunch sprints, scoring six wins and wearing the green jersey in the Tour de France, after he finished second in the inaugural stage. The 26 year-old Norwegian will start the 2014 season in the Tour of Qatar, followed by the Tour of Oman, races in which he hopes to tune-up for the first Classics of the season, Omloop Het Nieuwsblad and Kuurne-Brussels-Kuurne, where he will be one of the contenders. As I wanted to know more about Alexander Kristoff’s goals for this year, I contacted Artem Goriachev, Katusha’s press officer, and he helped me get in touch with the talented sprinter of the team for the following interview. – Alex, how was 2013? I think it was a pretty good season. Maybe the list of victories was not as big as it could have been, but anyway, I consider that everything went well in 2013. I had victories, I took important podium places, so all I can think about now is just how to improve these results and how to get my upcoming season better than the last one. – You’ve had six wins and many other good results, especially in one-day races. What are your best memories from 2013? Well, every win is important for me, but of course, I can mention some special races for me. My first World Tour victory so far is really important – it was a stage at the Tour de Suisse and I have great feelings about it. I also like all the stages I won last year in the Tour of Norway, it was a special race for me – great rivals, great crowd, great organization. It was really cool to ride there and to win there. I can add my stage victory in my home race Tour des Fjords. My podium at first stage of Tour de France and the green jersey I worn even for one day was a good experience for me too. Of course, I can name the 3rd place at Vattenfall Cyclassics and the 4th place at Ronde van Vlaanderen. It was really nice! – Was there a race that left you disappointed? Yeah, I can say that about all the races I did not win! But to be serious, I’ve had a great experience in the 2013 season, and all the races where I was close, but did not win, bring me now big motivation for the new season. I’d like to win a stage at Tour de France – this is my dream, I’d like to get at least on the podium of Sanremo, Roubaix or Flanders, where I was really close. I think every year I improve, my team Katusha is great and I have a huge support from the management and my teammates, so everything is going ahead well and I believe in the next years I will get more. – So, you dream of winning a Tour de France stage, but I presume that also the Spring Classics will have an important place in your calendar for 2014. You’re right, a stage win in the Tour de France is still a dream, as well as the green jersey. And for next year these are my real big aims. But besides, I will take part in the biggest Spring Classics, where I will try to win. In 2013, as I already mentioned, I was good in the Spring, so I hope I will keep improving there. Ronde van Vlaanderen suits me better than Paris–Roubaix, but I think I will have the opportunities to show myself there too. Milan–Sanremo, Gent–Wevelgem, E3 Prijs also, why not? All the Spring Classics, except the Ardennes ones, will be in my plans. – Is there a particular Classic you would like to win? I really like the Ronde van Vlaanderen, this is special race for me and it really suits me. In 2013, I was very close to a final podium, it was a great race, so I want to come there and to be competitive and to get my chance. – What would you say are your chances of winning the green jersey? To win the green jersey is the Tour de France is very difficult, but never say never. Yes, last year Peter Sagan was unbeatable, nobody could follow him in this fight, but you never know how the race can turn. I will try to win a stage, to get as much points as possible and we will see what will happen after that. Anyway, I will do all that is possible to be at my best and to justify my team’s confidence. – I saw that the World Championships are also on your agenda. What do you think of the profile? Well, at the moment we can talk about team time trial together with my Katusha Team. 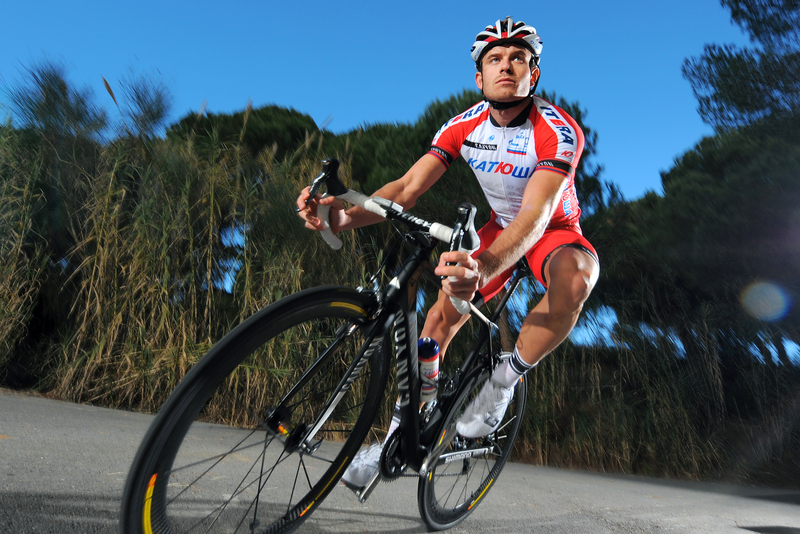 I would like to be a part of Katusha at the World Championships. Talking about the road race, of course I’d like to take part in it, but I still have to study the route, to see if it suits my characteristics. Besides, I have to be in strong shape to be competitive there and to get a chance to enter in the roster of the national team.